We are delighted that one of our local MPs, Joan Ryan (Enfield North) has secured a parliamentary debate titled ‘The Proscription on Hezbollah’ in the House of Commons on 25th January 2018. 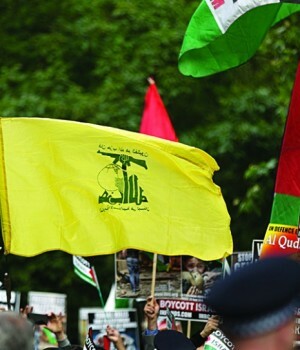 Joan will be challenging the ridiculous cop-out by which the British government insists on a fictitious distinction between the ‘political’ and ‘military’ wings of Hezbollah, despite the organisation’s own insistence that there is no such distinction. If you’re a voter in Enfield North, please write to Joan to commend her for this initiative and to show your support.